Directions 1. With clean hands, roll earplug back and forth between your fingers into a tight cylinder. 2. Immediately insert compressed earplug into ear canal. 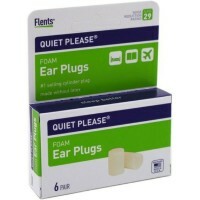 Hold earplug in place a few moments until it gently expands to give a snug, comfortable fit. 3. 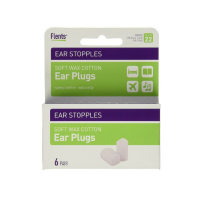 You may remove ClearEars after 5-10 minutes by gently pulling earplug from your ear. Dispose of ClearEars after one use. Earth friendly! Don't throw ClearEars away - use them! ClearEars are made from a material that's safe and nontoxic to both people and plants. After you're finished with them, ClearEars can be cut up and added to the soil for your house plants to help retain valuable moisture. Your plants will love them too! Uses Absorbs trapped ear-water. 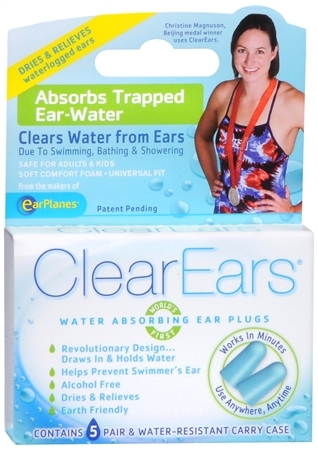 Clears water from ears due to swimming, bathing and showering. Safe for adults and kids. Soft comfort foam. Universal fit. Revolutionary design draws in and holds water. Helps prevent ear discomfort. Alcohol free. 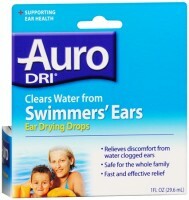 Dries and relieves. Works in minutes. Use anywhere, anytime. Contains 5 pairs and water-resistant carry case. Warnings Use only as directed. Adult supervision required for children under 15. Keep away from infants and small children when not in use. These earplugs are non-toxic but may interfere with breathing if caught in throat, which could lead to serious injury or death. Do not use while bathing, showering or swimming.